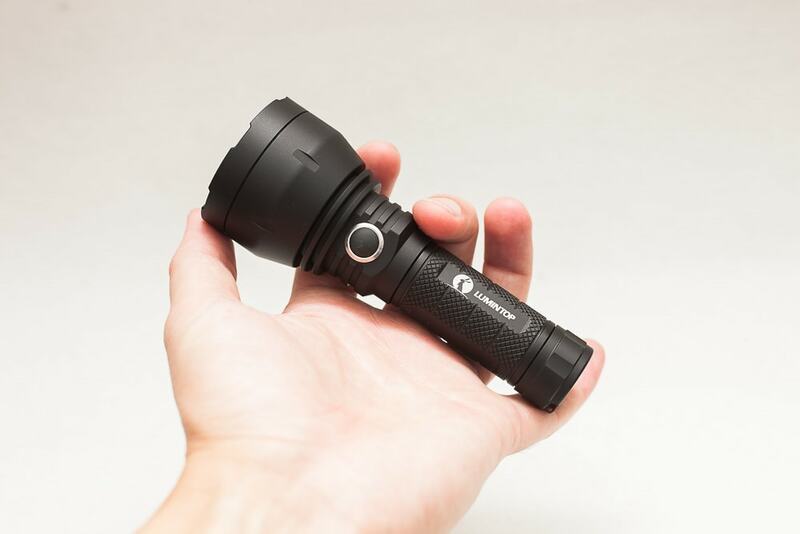 This review is about the MINI blf gt. You know.. it's little brother. The GT you can put in your pocket.. 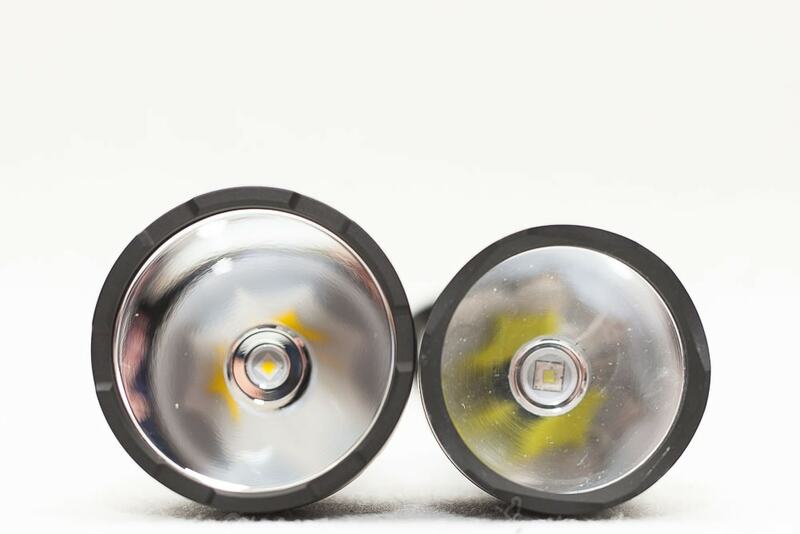 It is supposed to throw 135000cd / 135kcd, and that is still quite a lot for such a small flashlight, and is similar to the other mini thrower, the Emisar D1s, which claims the exact same amount of throw, while being a few millimeters longer. So the Emisar D1S still hold the title for smallest, best thrower. Do you want a thrower that can fit your pocket? Do you want a thrower that can throw over 100cd? Well, this might be something you will be instersted in. 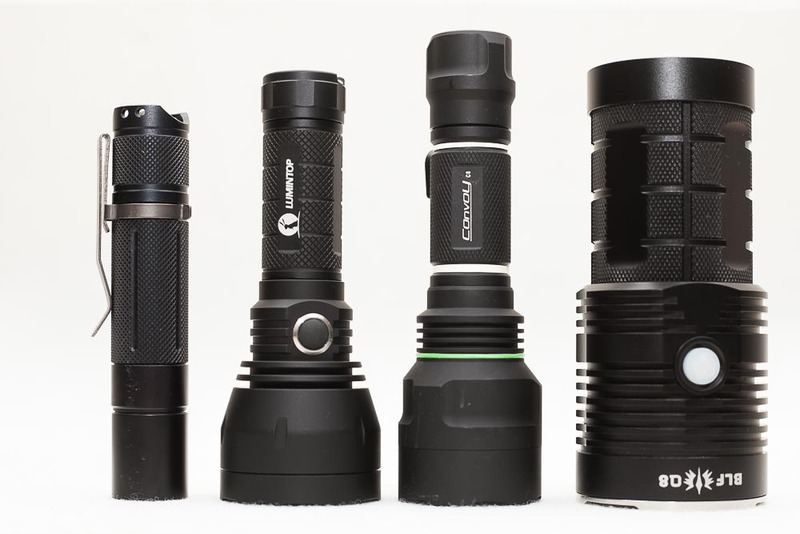 The size is comparable with the C8 flashlights made by Convoy, Astrolux, Kaidomain etc. It is a little shorter and has a slightly larger reflector.. More on that later. 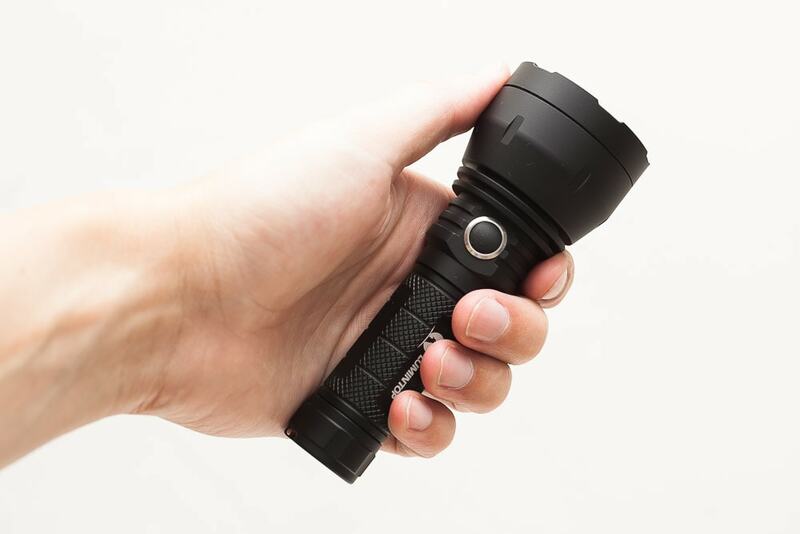 It is really a mini version of the BLF GT, that actually fits inside your pocket! In the following pictures you can definitely understand the size better, because even on picture it looks larger than in person! The side switch helps, and is probably 1 reason why it is so short. A little twist on the tailcap and you lose connection, so that is an easy lock-out. I really have to get used to such a small thrower. It feels more as a toy than a workhorse to me, but that is really only because of the size. The throw itself is quite specatacular for such a small light! Unprecedented....except for the Emisar D1S. 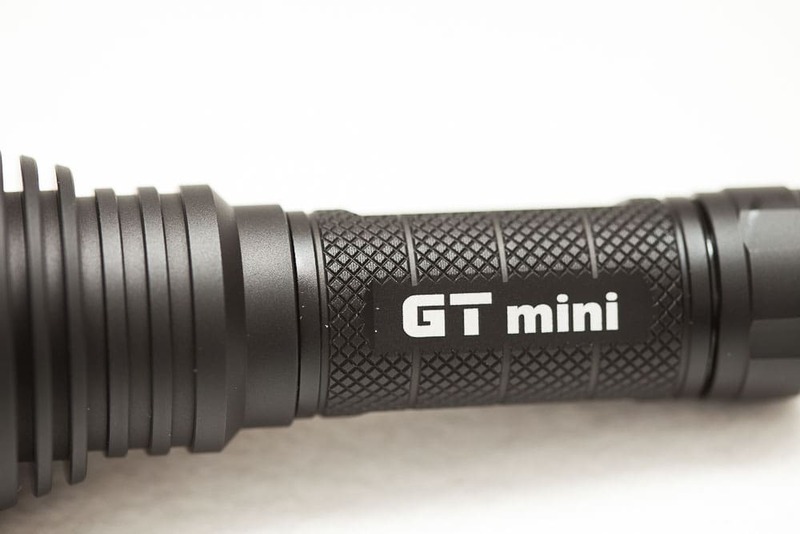 The mini GT has some knurling on the body, and non-existent on the tailcap nor the head. Please take a look up close on the following pictures. The anodizing is done very well across the light. The text on the tube is also crisp and clear. Both o-rings came completely lubed, but the threads were a bit dry.. 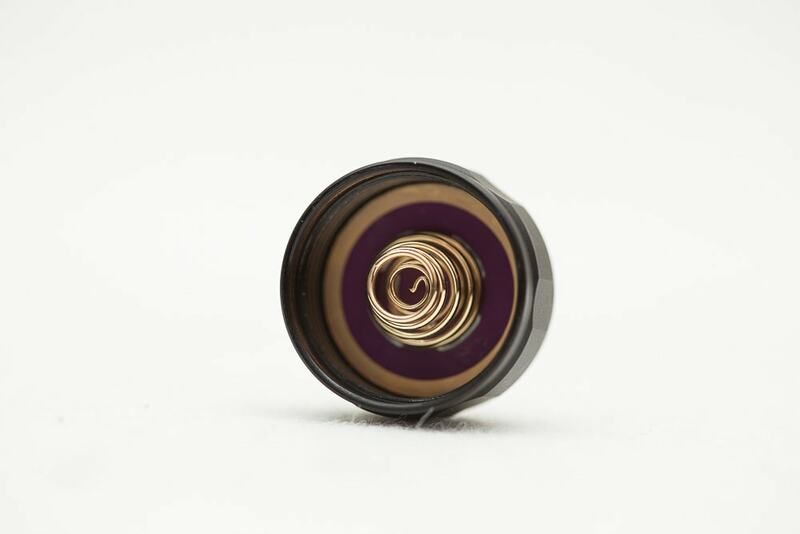 The tailcap has a double spring in it, as you can see in the picture below. It is impossible to unscrew the bezel off the body. They must have used glue to stop you from opening up the light... pity. The reflector is smooth, as you could have guessed for a "thrower". 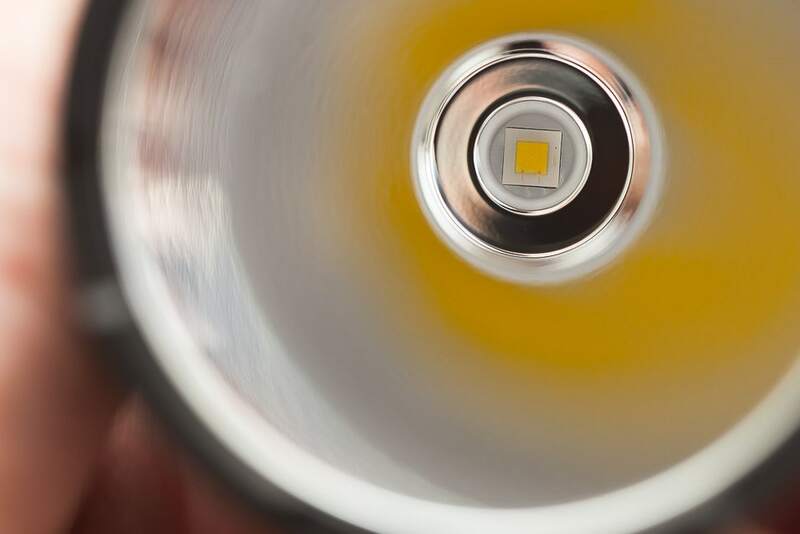 The LED is a XPL Hi and is centered really really well, Mine is neutral white! 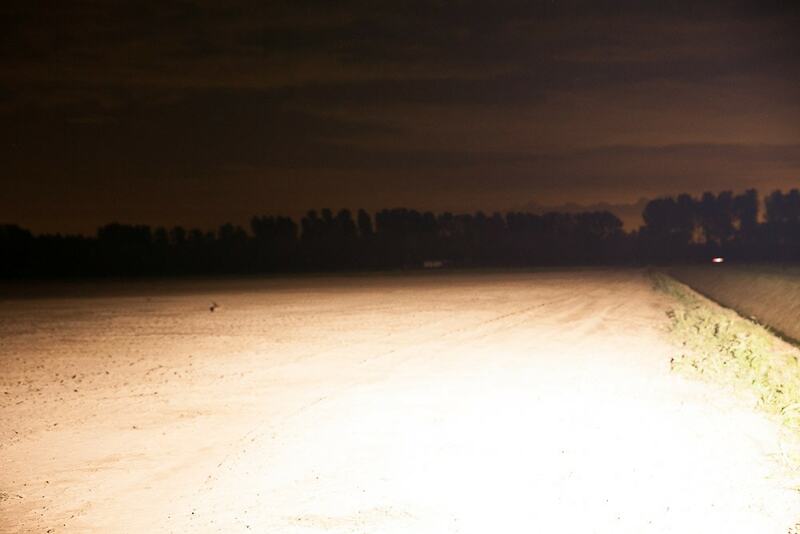 Below you can see the comparison between a few lights. 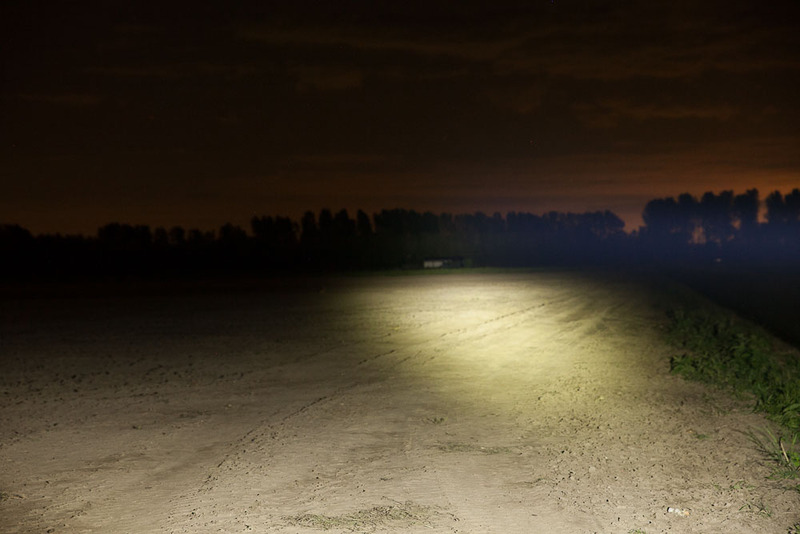 From left to right: BLF A6, BLF GT MINI, Convoy C8, BLF Q8. 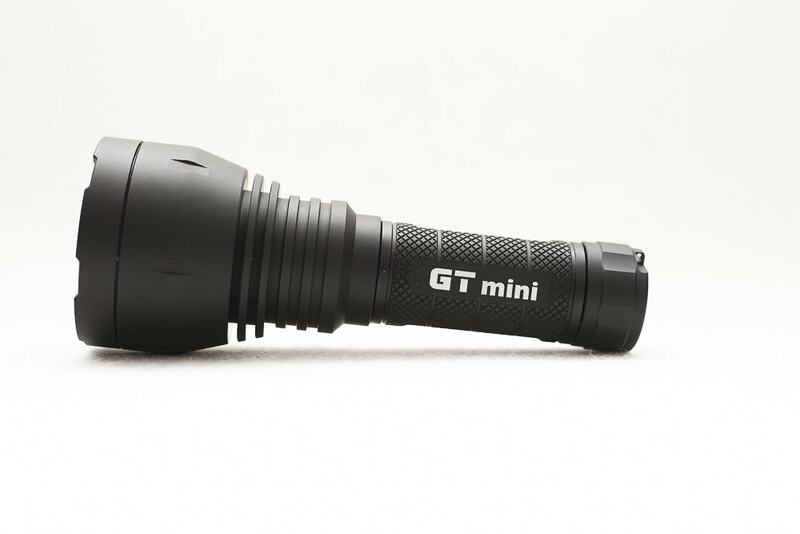 The mini also uses the same Narsil firmware as it's big brother, the BLF GT. This UI has a smooth ramping between 0% and 80%, while still be able to switch to the 100% Turbo mode. Ultra-Low mode: from OFF: press the button and release as soon as the GT turns on. Electronic lock-out: 4 clicks and to re-enable again 4 clicks. Factory reset: triple-click (battery status mode), then double-click (driver temperature mode), double-click again (firmware version mode), then press&hold for about 2 s. Four blinks confirm a successful reset. The mini GT is by default using the Smooth Ramping setting. 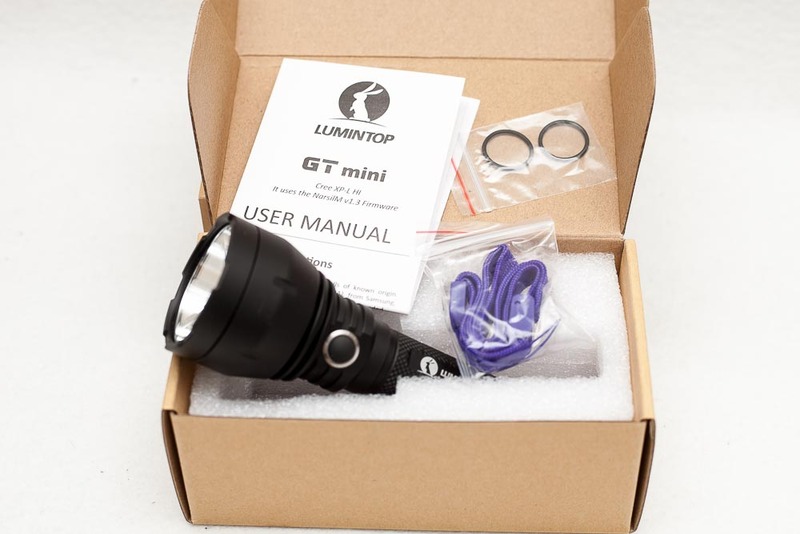 However, the Mini GT can also be operated using a more conventional MODE-SET style user interface. (See next section for details on how to set UI options). Using the MODE-SET UI the output does not ramp, it steps from one mode to the next using single-clicks, just like with a usual flashlight. Strobes: press+hold. 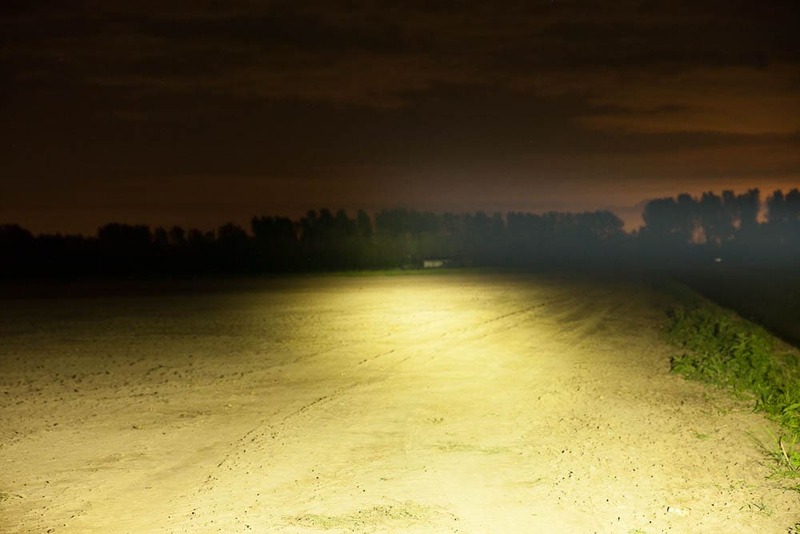 Single clicks to cycle through all Strobe modes. Press+hold to cycle backwards through the strobe modes. Electronic lock-out: from OFF: double-click followed by press+hold, same to re-enable again. Factory reset: from OFF, single-click followed by a press+hold (battery status mode), then double-click (driver temperature mode), double-click again (firmware version mode), then press+hold for about 2 seconds. 4 blinks confirm a successful reset. 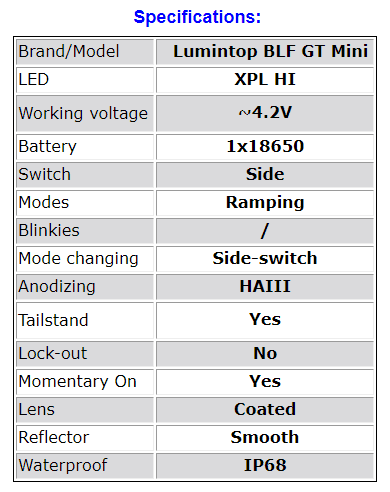 Backlight of the switch: The backlight of the switch is turned on by default, when the flashlight is turned off. If you don't want to use this backlight you can simply turn off that future by quickly switching the power on and off. Unfortunately it will only stay off till next use. The parasitic drain is ~250 μA with the light turned on, and ~150 μA without. The button however they used is BLACK, so the backlight is really hard to see! Wonder why that is. Yes, hidden. The momentary on only works when you tap 5 times while in the ramping mode. It is not accessible while being in any "mode sets". It seems like you are only able to get out of this mode when doing a complete turn-off, like turning the battery carrier. I measured this with my home-built integrating sphere. 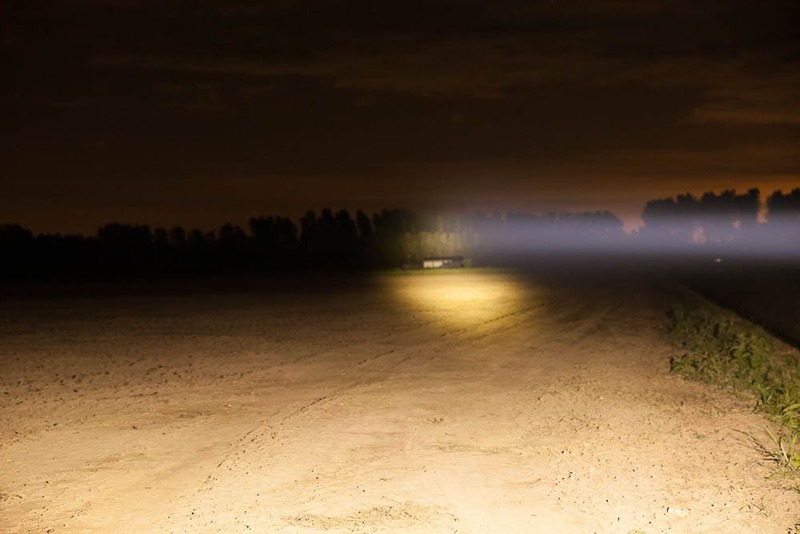 I used a Convoy S2+ I received from BLF member Djozz as a calibration point, that has a stable output of 137 lumens. Using an Samsung INR18650 25R high drain battery. The throw I measured with the cheap HS1010A lightmeter. In the future I will do more testing with my other lightmeter, which is a more expensive one, but I'm not 100% satisfied with either, because I have desperencies, that I can't explain, so hopefully a 3rd lightmeter would solve the problem.. or make it worse ;--) My HS1010A is always showing lower numbers. You can see that throwers tend to get more realistic numbers at farther distance. The only thing I have to figure out which Lux meter is reading it correctly, and go with that one for Lux metering. 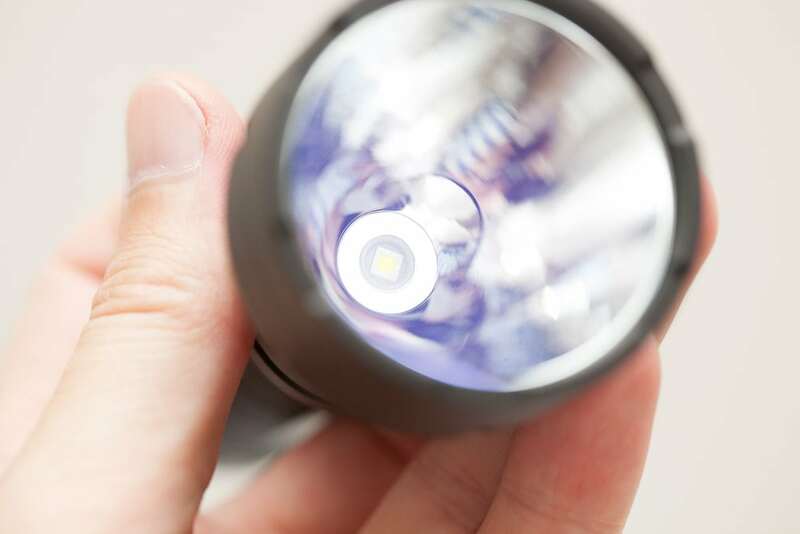 I trust the Hagner more when it comes to measuring Lumens with a calibrated light. I went out and did some comparison beamshots. Below you can see the BLF GT (XHP35) , Astrolux MF04 (XHP35), Klarus G35 (XHP35), BLF GT Mini (XPL) and my modded Convoy C8 (XML2). From the place I am standing to the little building is about 400-500 meters. The trees in the back are another 50+ meters. For fun I'll add the Fireflies ROT66, which is a "flooder" with great Nichi LED for the tintsnobs among us. One of the best smallest throwers, reaching over 100kcd. The programming UI can be complicated. It does what it needs to do, and it does that very well. A powerful little thrower. 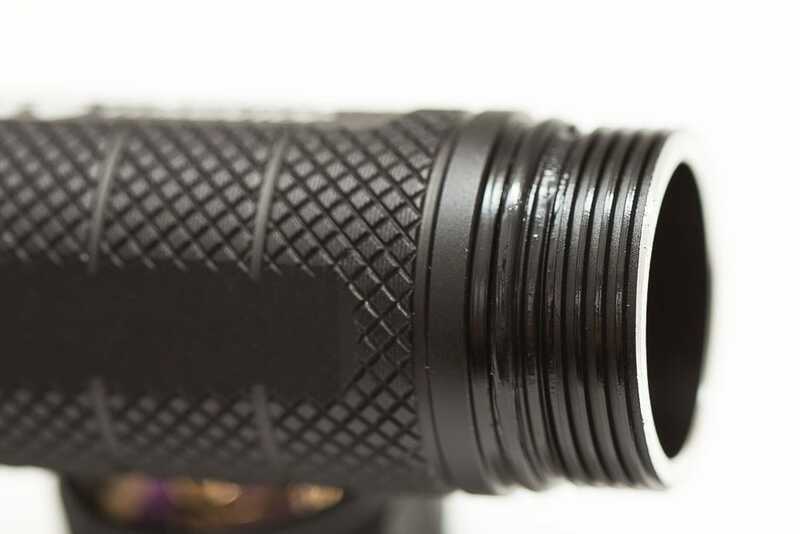 It throws farther than 99% of other flashlights with this size. You don't need to mod it, it already throws great! 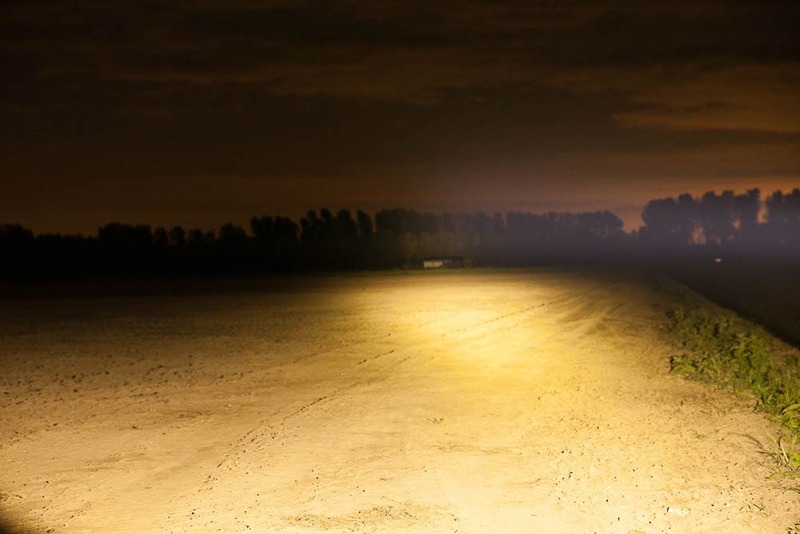 If you don't want to spend $35-$45 on this light, you could always mod something yourself and get about the same output..
Disclosure: The flashlight was provided by NealsGadgets store. 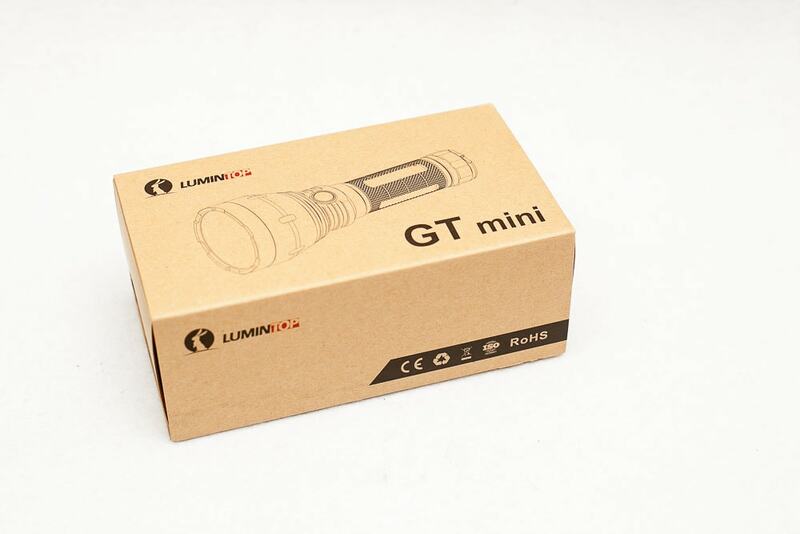 Where to buy BLF GT MINI?